We use a small shovel to take out most of the debris. Then We use either a water hose or a leaf blower depending if your debris is wet or dry, to clean out the rest. 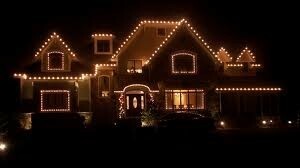 This makes your gutters spotless. Sometimes only an small amount of leaves can clog your downspouts ! Well, let’s start with why we even have them to begin with. The purposes of gutters are to gather water runoff from your roof and to push it away from your foundation. The problem is trees shed leaves, the leaves get blown into the gutter and that’s when problems can occur. 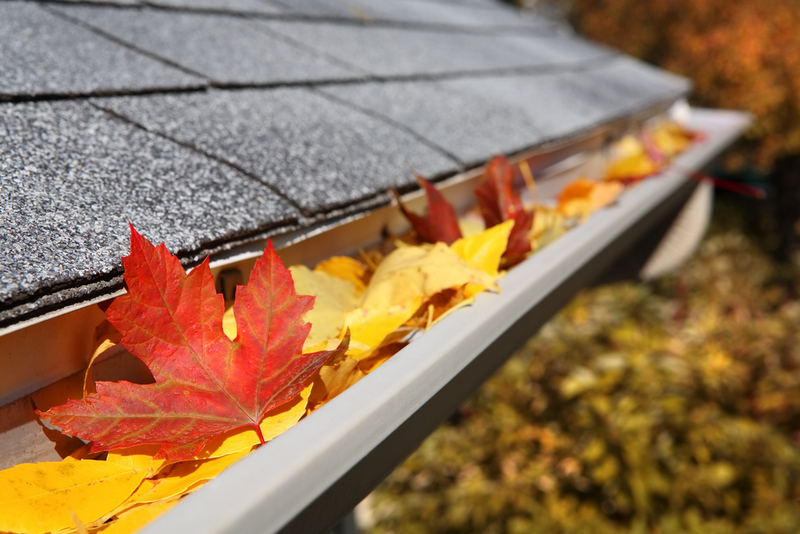 Basically cleaning out the leaves will insure that when it rains the gutter system can handle the water run off. That is why I recommend spring and fall routine cleaning because that’s when the trees shed. 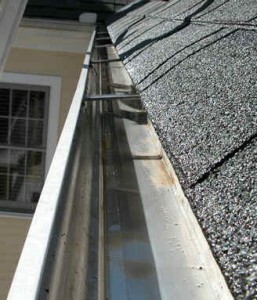 Gutter maintenance is very important and is often a neglected aspect of home maintenance. 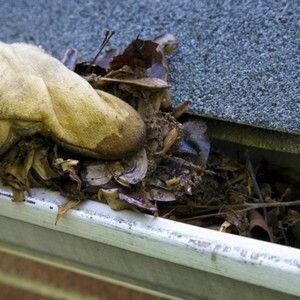 By doing routine “spring & fall” cleaning you are insuring that your gutters will work properly. It only takes a handful of debris caused by trees to clog up a downspouts. When your gutters are clogged, water runoff will spill over right at your foundation. As a result, water damage can occur to your home. The problem is easily solved. Hire the best and I will take care of the rest! Damage to home exterior & walls – water leaks out of the gutters right onto your home’s exterior and onto the foundation. Flooded Basements – if water is leaking onto your foundation, it can easily slip through the cracks and into your basement. Harmful Disease – pollen is all throughout the air, making clogged gutters a dangerous breeding ground for weeds, plants, fungus, mold and mildew. To prevent expensive damage to your home & property, it’s important not only to clean the tops of your gutters, but also to complete a thorough gutter downspout cleaning and to inspect your gutters for cracks, holes and other damage. Outside drains are most often clogged with dirt, gravel, and organic debris. Stirring them with a snake does little to remove them from the line. Even running a hose through the line while snaking probably does little to remove it either. Often outside drains are constructed of substandard materials such as thinwall Schedule 30 PVC, thinwall polyethylene, corregated polyethylene, that actually may be dammaged by a snake with a blade on it. Frequently the thinwall polyethylene will be crushed into an oval shape where the blade will cut the polyethylene damaging the line of possibly getting stuck on the other side of the flat spot if you get through it. A jet will remove all dirt, gravel, and organic debris from the line, not damage the pipe, and more than likely not get stuck after passing through a restricted area.